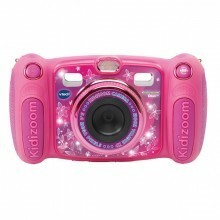 Take great photos and videos with this dual lens 5 megapixel camera! 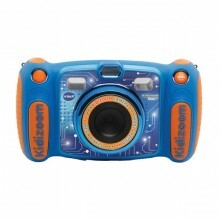 Swap between the two lenses at the touch of a button and apply fun effects, stamps and frames to them. 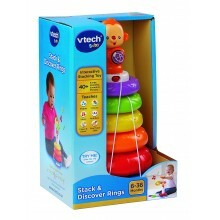 Stack the colourful rings to discover fun sounds phrases and sing-along songs. 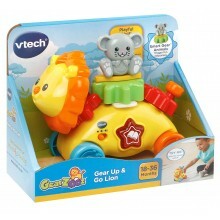 Press the cute monkey to learn colours, numbers, shapes and to hear encouraging phrases. 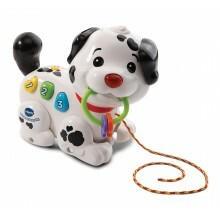 Includes lots of manipulative features that introduce animal names, sounds and shapes. Includes 5 sing-along songs and 20 melodies. 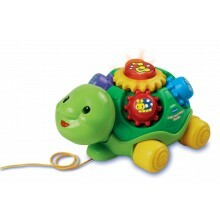 Press Turtle’s gears to learn colours, numbers and animals. 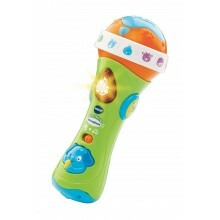 Features 2 happy sing-along songs, 10 uplifting melodies and flashing light! 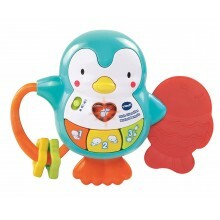 The turning ring introduces animals, their sounds and sing-along songs. Press the style buttons to choose a style of music. 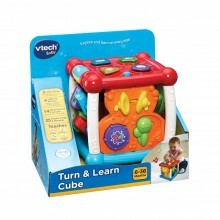 8 learning activities encourage baby to learn and explore! 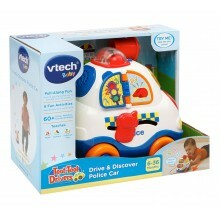 Pulling the car triggers phrases and sounds. Includes 4 songs and 20 melodies. 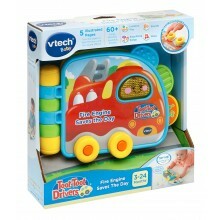 Includes; phrases, sounds, sing-along songs and melodies. Teaches; colours, numbers and cause & effect. 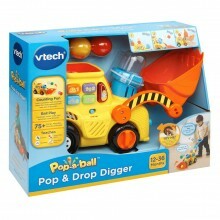 Develops; motor skills. Legs really move! 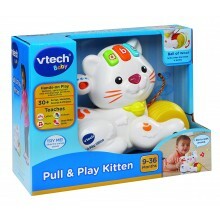 Introduces ABCs, colours and numbers - this kitty can be your perfect little furry companion. 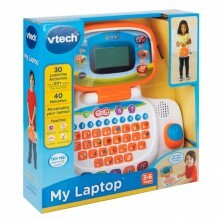 Features fun phrases, sound effects and 7 sing-along songs and 12 melodies. 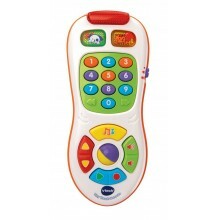 Colourful phone features 4 press buttons introducing feelings, numbers, colours and first words. Includes 3 happy songs and 15 melodies. Includes 5 illustrated, easy to clean pages with lots of fun phrases and sounds. Includes 15 melodies and 4 songs. 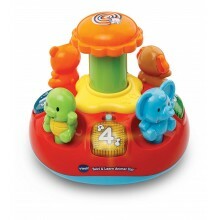 3 press buttons introduce animals, colours and numbers. 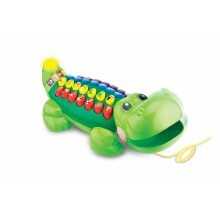 Includes a soothing red fish teether and plays 4 songs and 12 melodies.